With its latest offering, Videotel said now provides a more extensive portfolio of training for the LNG sector. Working with experts across the globe – BP Shipping, Shell, Maersk and SIGTTO, among others – the company said it has created a package of training covering the essentials required when operating in this important market. Nigel Cleave, CEO of Videotel Marine International, said, “Twice as many LNG carriers are operating today compared with five years ago, leading to a growing demand for quality training in the sector. With an evolving market and constantly developing new technologies even those familiar with the sector face new challenges. Starting with the Videotel Tanker Familiarization Distance Learning Course, the candidate is then invited to select from a number of courses to further develop their knowledge and skills. The Liquefied Gas Tanker Safety Training Course provides both trainees and officers experienced in other sectors with tanker-specific technical knowledge to serve on an LNG carrier, and to be assigned specific duties relating to cargo or cargo equipment. 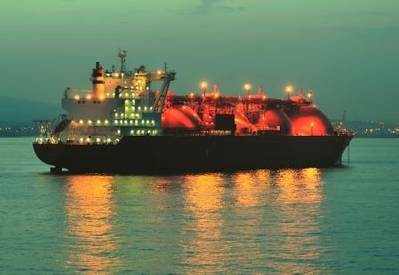 The LNG Training Course provides the competency knowledge required by officers serving on LNG tankers in accordance with the Competence Standards developed by SIGGTO, Videotel said. Not only is the course designed to provide the underpinning knowledge required to achieve the appropriate level of competence according to the rank of user, but it may also be used to study the knowledge required by higher ranks should the officer wish to gain promotion. Courses are delivered in a variety of methods – DVD, Videotel on Demand (VOD), VOD online and eLearning Computer Based Training (CBT) – to suit the demands of the subject and the nature of the competencies that need to be attained.